PORTLAND, Ore. – Demand for lumber in the U.S. in 2009 will slide to the lowest level in modern history, then move toward a slow recovery starting next year, according to a new forecast issued by Western Wood Products Association. The poor economy and a housing market that has plummeted to historic lows are the chief reasons for the remarkable decline in lumber demand. WWPA predicts U.S. lumber demand will slide this year to just 28.9 billion board feet, down almost 30 percent from 2008 totals. • SB 482 Creates an overlay zone to protect municipal water supplies. If passed the measure would create a new layer of government dictating what you can store and use on your property within the protection zone. The bill also requires individual domestic groundwater systems to obtain a permit to use water and obtain a report from the Water Resources Dept that there is no interference with current use. Additionally, an on-site septage disposal system inspection program requiring inspection of all septic systems will be implemented. Oregon Department of Forestry: A public comment period on nine annual operations plans and revisions to three implementation plans for state-owned forests managed by the Oregon Department of Forestry (ODF) begins March 30. Written comments on the 2009-10 annual plans and the longer term implementation plans, along with the accompanying forest land management classification maps, will be accepted until 5 p.m. May 13. Submitted comments should be individually directed to a specifically identified plan or set of plans. American Farm Bureau Federation – When rating fuels on the basis of their carbon content, biofuels should not be singled out and artificially degraded for so-called “indirect effects,” according to the American Farm Bureau Federation. In a letter to California Gov. Arnold Schwarzenegger, AFBF President Bob Stallman called for a “level playing field” in the development of that state’s Low Carbon Fuel Standard (LCFS). The LCFS requires oil companies to reduce the carbon sold in fuels in the state by 10 percent by 2020. SB 570 metal-theft: A Senate Judiciary hearing was held on March 16th with a room full of supporters. SB 570 is the bill being used to strengthen current law regarding the theft and recycling of non-ferrous metals to scrap dealers. OFS, food processors, Oregon nurseries, agriculture and other natural resource representatives testified in support of more stringent laws. Timber Report 3/20: Housing starts, lumber prices. Shown below are the most recent prices for stud lumber and logs, housing starts and permits, and unsold home inventories. Past prices are provided for comparison. The prices mills will pay for logs, continues a serious slide that started at $500 per Thousand Board Feet (MBF) in October of 2008, reaching $380/MBF this month. Lumber, prices have been bouncing around a bottom, at or below $145 since December, 2008. Lumber prices have to improve before log prices will respond. Grain leaders from Oregon, Washington, and Idaho have voiced united opposition to President Barack Obama’s fiscal year 2010 agriculture budget proposal. The grain industry leaders have written an open letter to the President articulating their concerns. The presidential budget seeks a graduated phase out of direct payments to farmers exceeding $500,000 in annual gross sales. In addition, the plan would impose a $250,000 cap on federal payments while reducing the ability for producers to participate in the federal crop insurance program. State Timber Sale Suspension Offer: A devastating timber economy prompted OR Dept. of Forestry(ODF) to offer state timber sale purchasers the option to temporarily suspend, for up to 2 years, any active sale contract that meets certain criteria. Qualified sales must have sold before 1/1/08, have 2009 or 2010 termination, not be salvage, and have over 10% of volume left to cut. By March 4th, purchasers can opt to either: 1) suspend with 90% payment; 2) suspend with interest paid; or 3) operate the contract. 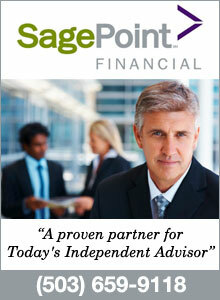 This unprecedented suspension entails up to about 40 sales and 150 million bdft. ODF justifies this first-ever move under contract Section 1570(g), Suspend operations in the public interest to maintain (industry) infrastructure. AOL reminded ODF that those contractors idled by suspensions may be unable to maintain their infrastructure. CORVALLIS, Ore. – The American Forest Foundation this week announced a three-year, $510,000 grant to Oregon State University to help address an issue of growing concern to many of America’s 10 million family forest owners: What happens to the forest under the next owners? One-third of today’s family forest owners are 65 years or older, and one of every five acres is owned by people who plan to sell or transfer some or all of their forest land within the next five years. The American Forest Foundation grant will allow OSU’s Austin Family Business Program to extend its “Ties to the Land” project for intergenerational planning to a nationwide audience after recently completing successful in-state pilot tests. Seattle, Wa. 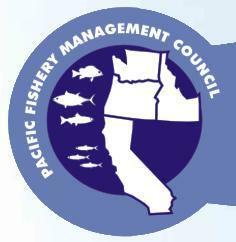 – The Pacific Fishery Management Council today adopted three public review options for the 2009 salmon season off the West Coast of the United States. The Council will select a final option at their next meeting in Millbrae, California on April 5-9. California and southern Oregon (south of Cape Falcon) Sport season options California ocean sport fishing options range from entirely closed to 10 open days in August and September in the Eureka/Crescent City area.